The information contained in this website is general information only and does not constitute nor is it intended to constitute formal advice. It does not constitute legal advice and neither SEN Action nor any of its employees or directors offer a legal service or legal representation. Although care is taken to ensure that the information on the website is accurate and up to date, we do not accept any responsibility for mistakes or omissions. Information may be out of date. SEN Action shall not be liable for any technical, editorial, typographical or other errors or omissions within the information provided on this website, nor shall we be responsible for the content of any web images or information linked to our website. SEN Action enters into no express or implied conditions, warranties, terms or representations regarding the quality, accuracy, or completeness of the information. No part of the website's content constitutes, nor claims to be, a comprehensive review of SEN or the law. By using this website you agree that you have read this disclaimer and that you agree to the terms and conditions of operation contained within the disclaimer. If you do not agree to these terms and conditions then your use of the website is not authorised by SEN Action. The information provided on this website is not intended to be legal advice and is for educational purposes only. It is not intended to be a substitute for you obtaining formal advice on any particular matter. You should not rely on this information as being applicable to your individual circumstances. Any reliance upon the information given on this site is at the user's own risk. SEN Action excludes to the fullest extent lawfully permitted all liability for loss or damage, whether direct, indirect or consequential arising from your accessing, failing to access, or reliance on information contained in this website, from delay or the failure to respond to an enquiry, or from any information or omission contained in this website. Use of the SEN Action website is not intended to create a professional or business relationship. The content of pages on this website does not constitute legal or other professional advice. 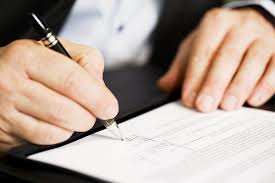 No formal relationship between SEN Action and our clients is created until instructions have been accepted by a written acknowledgement from SEN Action. The completion of our online forms does not constitute a formation of a professional relationship. SEN Action has provided Frequently Asked Questions (FAQs) on its website. They are designed to provide you with an overview on particular issues and areas relating to SEN. They are for information purposes only and are not nor are they intended to be formal advice. Nor do they constitute legal advice. Whilst the FAQs will updated regularly they cannot be relied upon as being accurate and up-to-date. The disclaimer and terms & conditions outlined above also apply to the FAQs on the SEN Action website. This includes but is not limited to the fact that SEN Action enters into no express or implied conditions, warranties, terms or representations regarding the quality, accuracy, or completeness of the FAQs. No part of the FAQs content constitutes, nor claims to be, a comprehensive review of SEN or the law. Any reliance upon the information given in the FAQs is at the user's own risk. SEN Action excludes to the fullest extent lawfully permitted all liability for loss or damage, whether direct, indirect or consequential arising from your accessing, failing to access, or reliance on the FAQs contained in this website, from delay or the failure to respond to an enquiry, or from any information or omission contained in this website. This also applies to any response you might receive from SEN Action following an enquiry you have made. Whilst SEN Action welcomes genuine enquiries there is no guarantee that you will receive a response. As part of its free service offer, SEN Action offers and provides free consultations to parents with children with special educational needs (SEN) and young people with SEN. Whilst these consultations will provide an opportunity for parents and young people to discuss their particular circumstances, they are by their nature brief and not comprehensive. It will not be possible for the full circumstances of a case to be known in the relatively short time a consultation lasts and therefore, any advice given as part of the free consultation is to be treated as informal guidance only. It will not be intended to be formal guidance and will not constitute legal advice. The guidance provided as part of the free consultation cannot be treated as accurate or reliable. You are advised to seek formal advice before taking any subsequent action. Any reliance upon the informal guidance given during a free consultation is at the recipient’s own risk. SEN Action excludes to the fullest extent lawfully permitted all liability for loss or damage, whether direct, indirect or consequential arising from your reliance on the information provided during the free consultation. Whilst SEN Action’s Specialist Advocates may take part in the discussions on the Facebook Discussion Forum, SEN Action provides no assurances or other enforceable commitment that you will have a Specialist Advocate join your discussion. The participation of SEN Action and its Specialist Advocates in the Facebook Discussion Forum is purely on an informal basis. Any communication from SEN Action, its Specialist Advocates or any other employee or Director of the company on the Facebook Discussion Forum does not constitute formal advice, legal advice nor establishes any kind of professional relationship. Any reliance upon any communication made by SEN Action, its Specialist Advocates or any other employee or Director of the company is at the users own risk. SEN Action excludes to the fullest extent lawfully permitted all liability for loss or damage, whether direct, indirect or consequential arising from your reliance on any communication made on the Facebook Discussion Forum. SEN Action’s Facebook Discussion Forum is provided to allow parents of children with special educational needs and young people with SEN to discuss issues related to SEN. All discussion content within the forums reflect the opinions of individual participants and does not necessarily represent the views held by SEN Action, its Specialist Advocates or any other Director or employee. In your use of and participation in the SEN Action Facebook Discussion Forum you agree not to post or transmit any unlawful, threatening, abusive, libelous, defamatory, false, misleading or otherwise objectionable information of any kind, including, without limitation, any transmissions constituting or encouraging conduct that would constitute a criminal offense, give rise to civil liability, or otherwise violate any local, state, national or international law or regulation. SEN Action reserves the right to remove such content, at its discretion, at any time without your consent. SEN Action is not liable for any content posted on Facebook Discussion Forum that is unlawful, threatening, abusive, libelous, defamatory, false, misleading or otherwise objectionable information of any kind, including without limitation any transmissions constituting or encouraging conduct that would constitute a criminal offense, give rise to civil liability, or otherwise violate any local, state, national or international law or regulation. In order to keep the discussions within Facebook Discussion Forum relevant to the participants, SEN Action reserves the right to delete, or reasonably edit, content that we deem in our discretion to be irrelevant to the forums. Although SEN Action reserves the right to delete and edit messages at our discretion, you remain solely responsible for the content you post and you agree to hold harmless SEN Action in connection with any claims or other statements that you post, or that is posted by others and relied upon by you. You agree not to post any content that infringes on the intellectual property rights of a third party, whether a member of the Facebook Discussion Forum or otherwise, including rights under copyright, trademark, patent, trade secret, privacy and publicity rights. You agree not to hold SEN Action liable for any intellectual property infringement committed by you or committed against you by another member of the discussion forum. You must not impersonate someone else or allow someone else to post under your account or post account information, an email address or any other information that is not your own. You maintain ownership over the intellectual property in content that you post, however you grant SEN Action a non-exclusive, irrevocable, perpetual license to reproduce and display such content. Your redistribution, electronically or otherwise, of messages or information posted by other participants is not permitted without the express written permission of that participant. All messages and information posted or accessed in the forums are offered “as is” without any endorsements, guarantees or warranties by SEN Action. You must not post or transmit any information or software that contains a virus or other harmful component. You agree not hold SEN Action liable for any virus or other harmful component downloaded by you from SEN Action’s Facebook Discussion Forum. You agree not to use the SEN Action Facebook Discussion Forum to post advertisement or commercial endorsements or commercial recommendation or referrals. Our users have a right to use the discussion forum freely without commercial harassment. Any post of this nature will be removed and may result in a formal complaint being made if necessary. It is your responsibility to exercise your judgment in evaluating or utilizing any information shared within the Facebook Discussion Forum. We encourage you to confirm the information shared in the discussion forum before undertaking any action on it or relying upon it. You agree not to provide any formal advice or any legal advice through the SEN Action Facebook Discussion Forum. SEN Action does not assume any responsibility for any websites or resources that are linked through Facebook Discussion Forum or that you visit as a result of a referral you gained through a content referral or link posted on this discussion forum. You are aware that any information you disclose in the SEN Action Discussion Forum can be obtained by any other registered user of the forum or persons to whom the information is forwarded. This may result in unsolicited email or mail sent to you. SEN Action is not responsible for such occurrences and accepts no liability in this respect. SEN Action reserves the right to deny access to the Facebook Discussion Forum to anyone who violates these terms and conditions. Your use of the Facebook Discussion Forum is entirely subject to your agreement of the terms & conditions. If you do not accept the terms and conditions then your use of and participation in the Facebook Discussion Forum is not authorised by SEN Action. SEN Action will try to ensure that our website is available 24 hours a day. This however cannot be guarantee and SEN Action will not be liable if for any reason the website is unavailable at any time or for any period. Access to the SEN Action website may be suspended temporarily and without notice for any reason and for reasons beyond our control. Please note that although reasonable care is taken by SEN Action to ensure that the website and materials available from it are virus free, we cannot accept responsibility for any viruses you download. SEN Action’s website may contain links to other websites that are not operated or controlled by SEN Action. If you use these links, you will leave the SEN Action website. These links are provided for convenience only and do not constitute any endorsement by SEN Action. We do not have any control over the content of external websites which are linked to our site or which are linked from it, and cannot accept any responsibility for them. If you intend to use links to the SEN Action website on another website then this only permitted to the Home page of the SEN Action website, unless otherwise expressly agreed. In order for any link to be permitted, it must be performed in accordance with English law and neither damage SEN Action’s reputation nor take advantage of it. No links are permitted which suggest any form of association, approval or endorsement on the part of SEN Action without our prior consent. SEN Action reserves the right to withdraw linking permission without notice. If you would like to discuss using links to the SEN Action website on your site then please feel free to contact us on the details above. The intellectual property rights (including, without limitation, copyright and trademarks) in all material on the SEN Action website (including, without limitation, all texts and contents, including our FAQs) are owned by SEN Action unless otherwise stated. All rights are reserved. Licence to copy for personal use: You may display the pages of the website on your computer screen and print or download to a local hard disc a reasonable number of unmodified copies for your personal use only. Licence to copy for limited purposes: You may copy the contents to individual third parties for their personal information, only if you properly credit SEN Action as the source and, where appropriate, author of the material. For the avoidance of doubt, the limited exemptions referred to above do not permit you to incorporate all or any part of the content of this website in any commercial publication or document, or for any other commercial purpose. Nor are you permitted to display any part of the content of this website, in whole or in any modified form, on any other website without the express permission of SEN Action. For specific purposes SEN Action will ask you to provide personal details. Examples include booking a Free Consultation or asking us a question not included on our FAQs. This information is important in order to provide you with the services that you are requesting. SEN Action may use the information collected from you to provide you with our services and to promote our services generally by sending you emails, details of events and newsletters. SEN Action will not pass your information onto any other organisations or third parties. Please contact us if you do not wish to receive any information from us. If you do not wish to receive this information, please send an email to admin@senaction.co.uk. In accordance with the Data Protection Act 1998, you are entitled to request a copy of the information SEN Action holds about you. SEN Action may charge a fee for complying with this request. If there is information that we hold about you that is not correct then please let us know by writing to us and we will update your personal information accordingly. Cookies are files that are used either for the period that you are using a website or are stored on the website user’s device to identify the user next time they use the website. SEN Action does not use any long term Cookies to store information on your device. We do use in-session cookies to transmit data should you complete the various forms on our website; the data entered on the form is not stored by us via Cookies. By using and browsing the SEN Action website you agree to SEN Action using cookies in the above way. SEN Action is the trading naming of SEN Action Limited. It is not a law firm, does not act in a legal capacity or provide legal advice or a legal service and is not authorised or regulated by the Solicitors Regulation Authority.